Love to make an entrance? 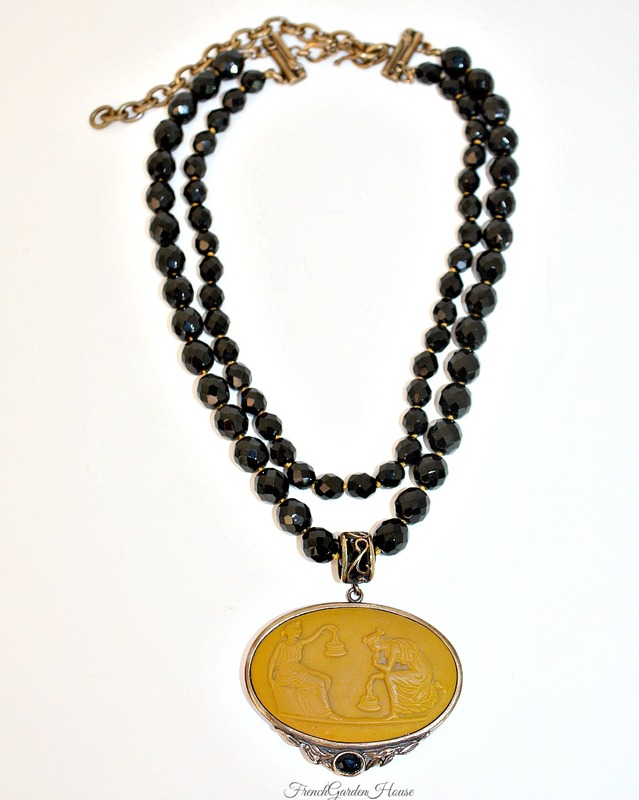 Our exquisite Minerva Cameo Necklace is so dramatic and drop dead gorgeous, all eyes will be on you! The opaque German Glass Cameo features a scene from Greek Mythology, classic and elegant. Stunning color on this collectible piece, fitted in a bronze ornate bezel set with a Wine Red faceted stone, an exceptional addition to your luxury jewelry collection. Measures: Pendant: 2-1/4" x 1-7/8", necklace can be adjusted from 16-1/2" to 20".